The Baker Upstairs: got milk? snacks and #bestinclass giveaway! This post is sponsored by Got Milk? 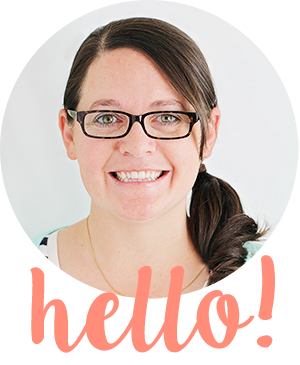 Snacks as part of a campaign for the Mom It Forward Blogger Network. I was given products to review and compensated for my time. Got Milk? 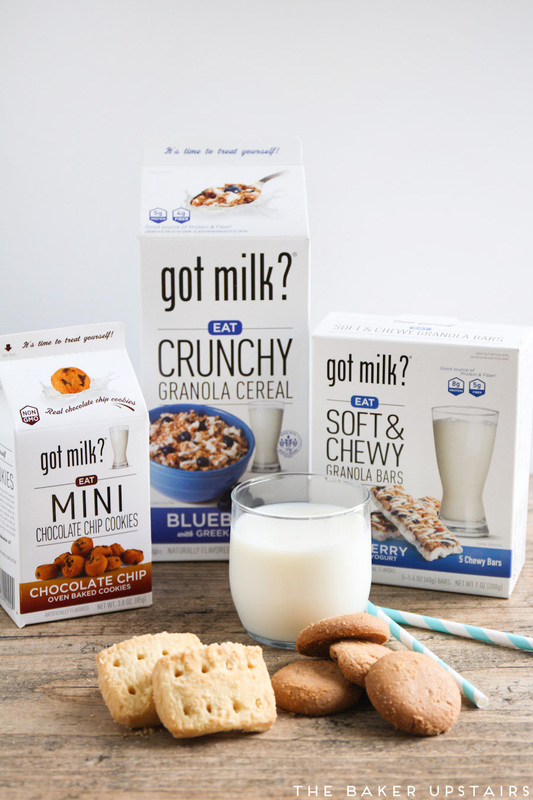 Snacks consist of snacks, cookies, cereals and granola bars that are designed to pair perfectly with milk and get kids excited about drinking more milk! 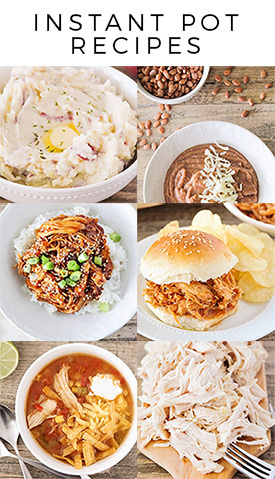 They offer a variety of classic, organic, non-GMO, gluten-free and vegan offerings, so there is something delicious for everyone. 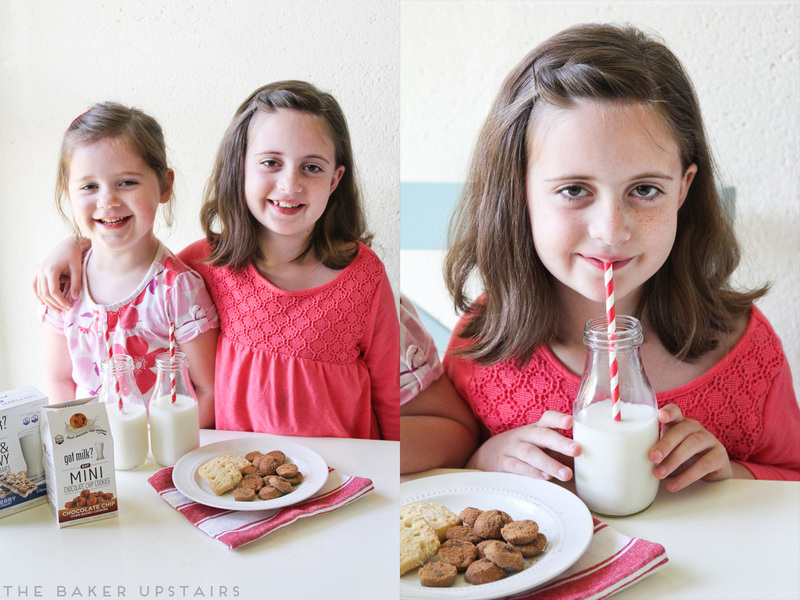 We were given the opportunity to try some delicious Got Milk? Snacks this week, and the kids had a blast! Nearly 16 million children in the United States live in food-insecure households and face the threat of hunger daily. Many children do not have consistent access to healthy food and have difficulty getting the vitamins and nutrients they need to support their growing bodies. Got Milk? Snacks is launching the Best in Class campaign to celebrate deserving classrooms and fight child hunger at the same time. For every classroom that is submitted, Got Milk? will donate to The Great American Milk Drive, which provides milk to families in need through Feeding America. 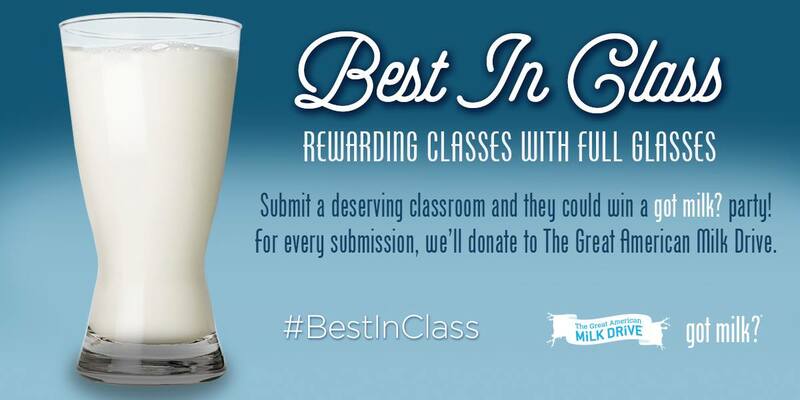 If you know of a deserving classroom, go to the Got Milk? Snacks page and submit your classroom's information! Five classrooms will be chosen to receive a Got Milk? party in a box, which will include decorations, branded items, snack products and a gift card to a local grocery store where they can purchase milk. Submissions close October 19, so hurry over and submit your classroom!